Partner Manipulator, column mounted, equipped with a jaw tooling for gripping and handling special steel profiles with different weights and dimensions. 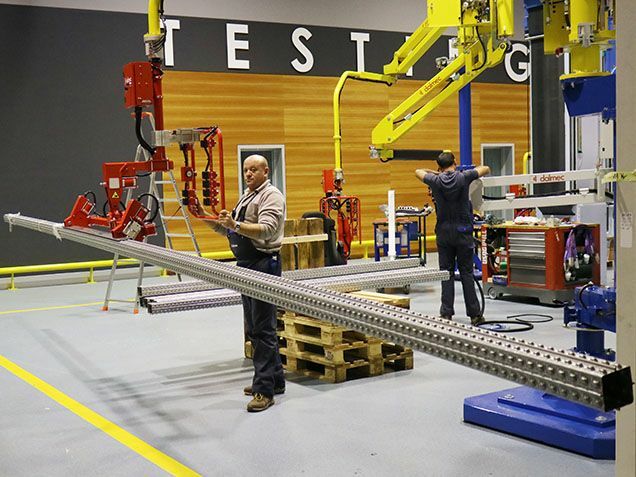 The column of the Manipulator is fixed on an autostable base, which allows it to be moved with a forklift truck in more than one work station. Moreover the offset column allows special machining of the profile. The main purpose of DALMEC manipulators is to assist the customer and give him support to reduce the weight of his workload and to enable him to work safely, efficiently and precisely. DALMEC continuously strives every day to find the best solution to allow the handling of any kind of product without any effort in accordance with the ergonomic criteria. 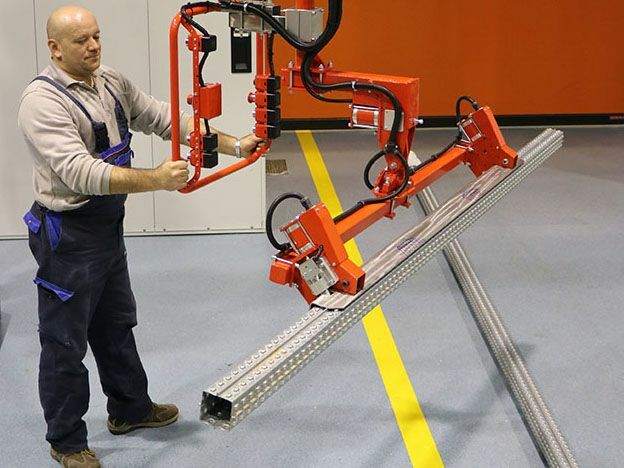 Partner manipulator Partner Equo, column mounted with portable baseplate, fitted with pneumatic tooling for handling steel profiles. Dalmec presents a wide range of versatile solutions to allow the lifting of products weighing from 10 up to 1500 kilograms. This is possible because we are able to design and manufacture gripping systems for any kind of application.